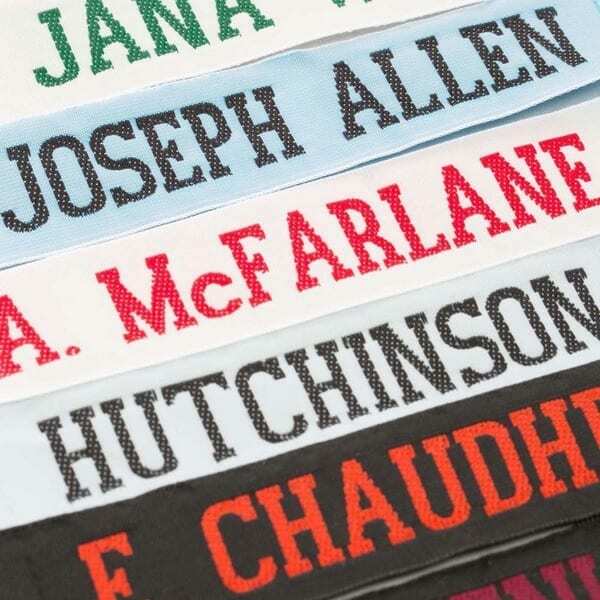 Our 23 mm deep sew on clothing labels are the deepest woven name tapes we offer. Custom clothing tags this size are ideally suited for naming the outside of sports kits or as laundry labels. Due to the size of the label they really do provide instant identification. 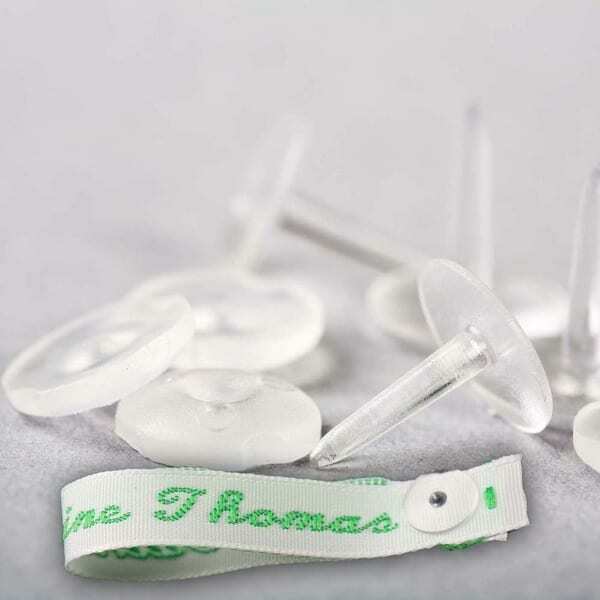 Your chosen name will always be woven in CAPITAL letters only and the sew on labels will be as long as the name. Custom clothing tags have a maximum character restriction of 20 characters including spaces. 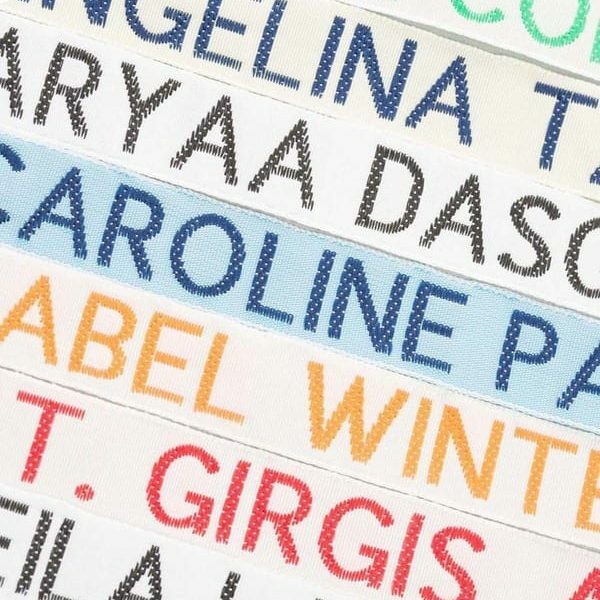 If you are purchasing these woven name tapes for sports kit, our suggestion would be to have just the Surname or Initial and Surname. 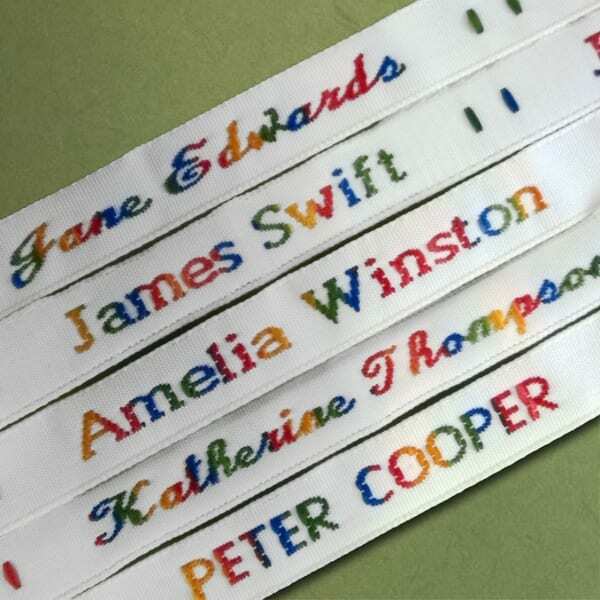 The 23 mm deep woven name tapes come in a choice of tape colour weave colour. And most schools will advise what the colours you should be selecting. Sew on clothing labels are non fray and 100% colourfast and can be sewn on by hand or machine.